As a deco artist and decoden fan, I love everything that sparkles. 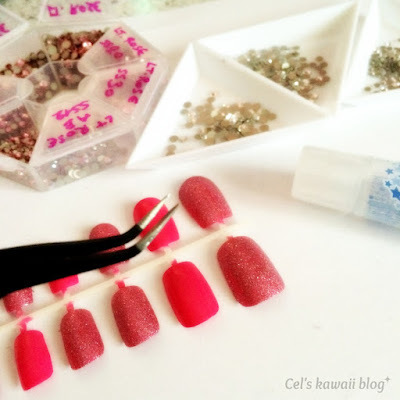 Recently I received a new tool so I decided it's a great opportunity for a step by step deco nails tutorial to review my new black curved tweezers too. Deco nails are very popular in Japan and they are super cute especially for special occasions. 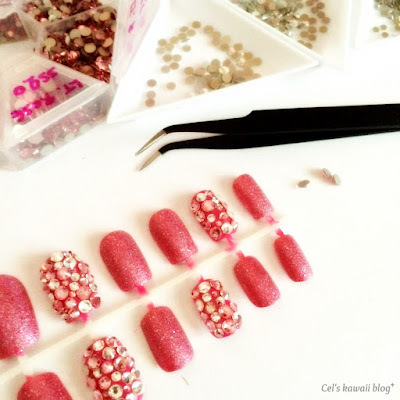 Rhinestone deco nails are very easy to make and quite fun too. 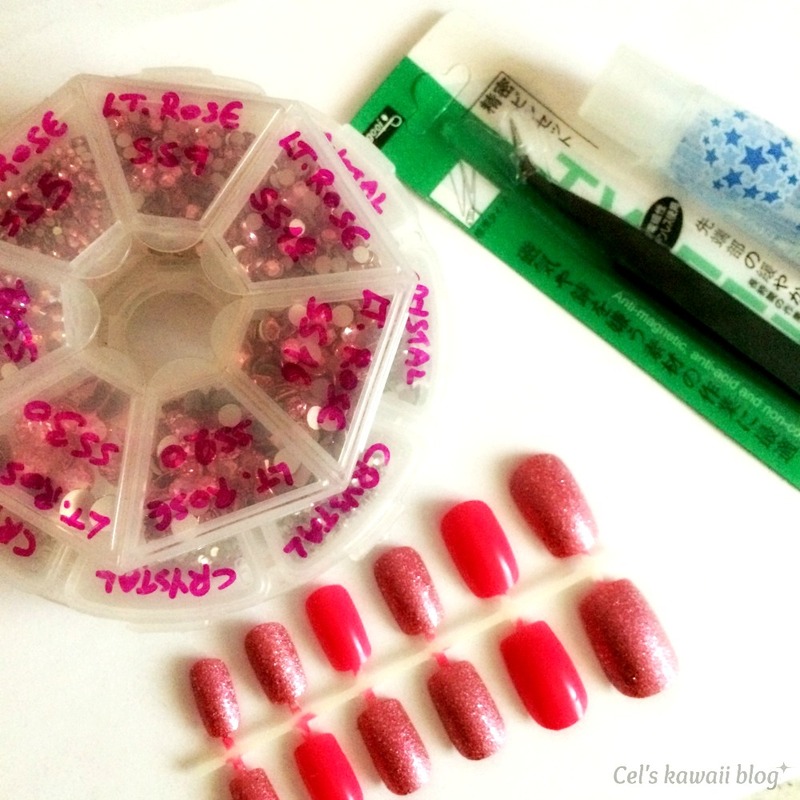 I used press on nails for this tutorial as I am going to use rhinestone glue. If you want to do it on your natural nails just use top coat but be advised that the rhinestones will not last more than a couple of days. You can also use nail glue. DO NOT apply rhinestone glue on your natural nails. *Nail colours of your choice. I wanted these nails to be extra glam so I decided to combine glitter and crystals to make them super blingy. *Crystals or rhinestones. I used Swarovski crystals. First paint the nails with the colours of your choice and let them dry well. Then start blinging up the nails. Apply glue to the first nail you want to bling up and carefully cover it with crystals using the tweezers. I usually start from outside and move inside as you can see. 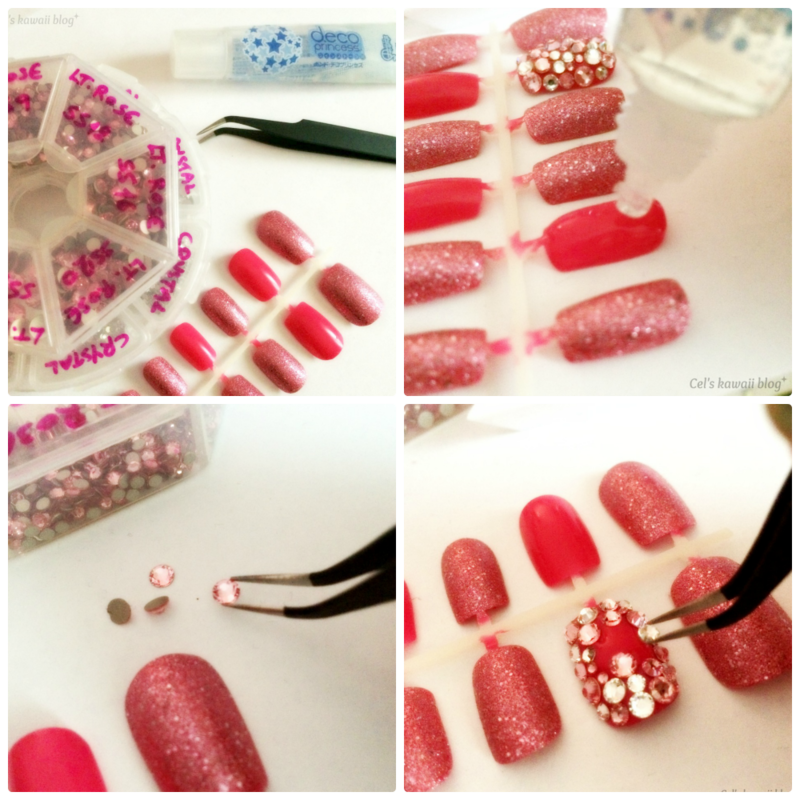 Do this for all the nails you want to cover with rhinestones. Wait for them to dry. It is very important to have good quality tweezers so you can easily catch the crystals and place them on our nails. I am very pleased with this pair, they are easy to handle and because they are curved it is easier to pick the crystals and place them precisely where I want them to be. After the nails dry completely, cover the glitter nails with top coat and you are done. Do not cover the crystals with top coat as that will make them look weird and diminish their sparkle. 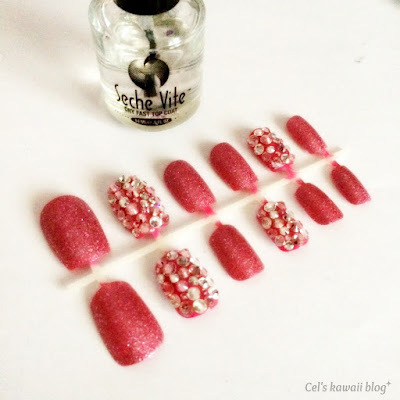 What do you think of this type of nail art dear readers? Cute or too much? If you would like to try your hand on these, you can find all the materials at Lady Queen Beauty. 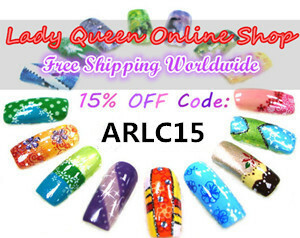 You can use discount code ARLC15 and get 15% off your order. Looks like fun and very easy too. Thanks!